After weeks of fretting and searching, you finally found a caregiver that you can trust with your kid. Hard part over, right? Not so fast. Here’s what you need to know about nanny contracts (including why they’re so clutch for a successful working relationship). Wait, what’s a nanny contract? It’s exactly what it sounds like—an employment agreement between you and your nanny that covers various work details such as responsibilities, hours, wages and employment duration. Urgh, but I hate paperwork. Do I really need one? A nanny contract is not a legal requirement, but having a written agreement in place can help avoid any potential misunderstandings (like suddenly finding yourself without a caregiver on Columbus Day) plus resolve disputes amicably should they arise. OK, sold. 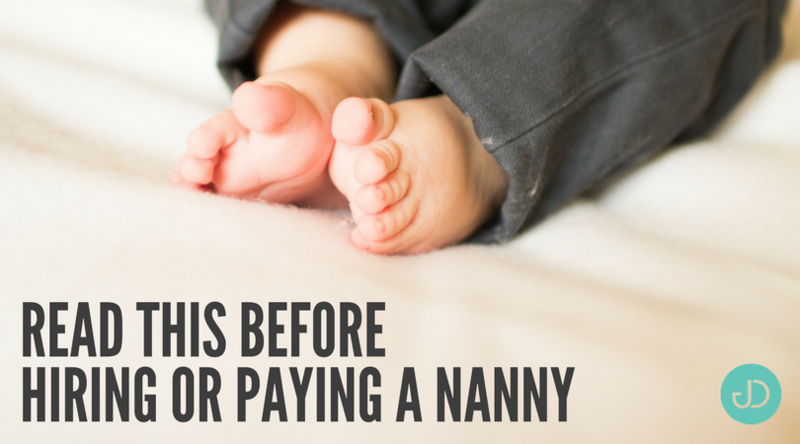 What should I include in my nanny contract? Whatever you want. There’s no need to go OTT (say, listing every vegetable that you want your kids to eat on a daily basis) but feel free to include details about working hours, childcare duties (and non-childcare ones like laundry and grocery shopping, if appropriate), salary, benefits (like vacation, holidays and health insurance) and emergency plans. How do I write up a nanny contract? You don’t need a lawyer to make a contract binding (but you can always ask one to review it if you want) and there are plenty of free nanny agreement templates online that can provide you with a good starting point. 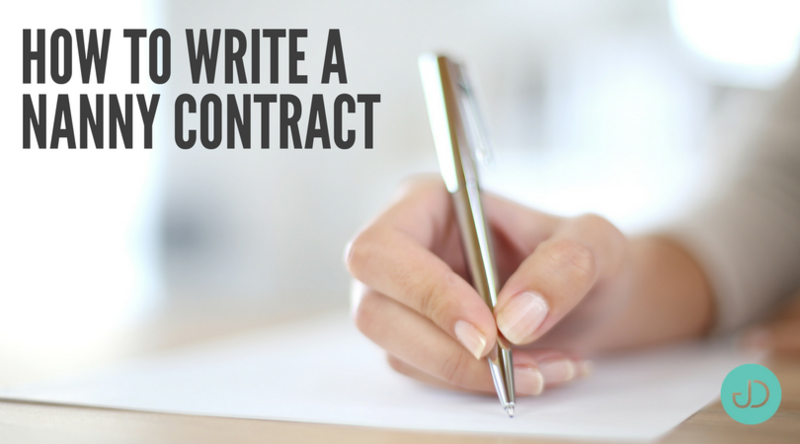 Once written up, you and your nanny should both sign and date the contract, and then each keep a copy. Review the agreement every year and evaluate if it needs to be altered. Bottom line? The key to a successful working relationship is being clear about expectations and boundaries up front. And FWIW: She’ll appreciate it if you give her Columbus Day off. Parenting in the age of technology presents challenges Grandma and Grandpa didn’t have to deal with. Our children are ‘connected’ to the world—and if they aren’t their toys are. Common sense practices keep your kids safe most of the time. Just about everyone uses computers either at work, at home, or both. We have anti-malware software and firewalls. Everyone should know about password security and phishing scams. Your bank will never ask you for your password in emails or messages. If all else fails, just turn the computer off, right? We’re used to viewing the internet as a portal, something we can restrict access to. However, there are threats parents may not be aware of. Beyond the potential for exposure to adult imagery or cyber-bullying, there are concerns ranging from child-identity theft to abduction. The following practices will help parents defend their families from technology threats in the modern age. 1. Keep your information safe. This goes beyond using secure passwords and backing-up your files. Someone who wants to hurt your family doesn’t care about tax returns. Ask 10 children what they want to be when they grow up and, chances are, a few are gonna say “A YouTuber.” When we live-stream, or give out our location in real-time status updates, we’re advertising our location to anyone who cares to know. Not every criminal is trying to abduct your children; some just want to know when you won’t be home. Make sure kids are only live-streaming when there are adults present, and refrain from posting status updates that let the world know that nobody’s home. 2. Be an expert consumer. If there’s one thing I find terrifying, it’s hearing parents say things like “My 10 year-old knows more about these gadgets than I do.” Devices are getting smarter, many toys have built-in connectivity to Wi-Fi, Bluetooth, or RF. The FBI suggests parents visit the website for every ‘smart’ toy/device your child has. Understand that devices with cameras and/or microphones featuring any wireless connectivity can be hacked. Conduct internet searches on each device to ensure there aren’t widely-known security issues. 3. Know the apps your kids access. You don’t have to invade your children’s privacy in order to help keep them safe online. Sit down with your children, periodically, and take a look at every single app on their devices. Ask your child how they use each app, and research the ones you aren’t familiar with. Test each app by downloading them on your own device and signing up for an account. Remember: apps that don’t require a phone number can be signed up for anonymously. Roblox, Yellow, and Periscope, are just a few apps that pedophiles have accessed to harm children. Other concerns include apps that don’t function the way you’d expect. For example, an app called “Calculator%” is a hidden-photo app on iOS. We’re long past the days when our only concerns, as parents in the digital age, involved what our kids might be exposed to on the internet. Of course we’re worried our children are going to see things online that they aren’t mature enough to understand. We should also be worried that someone who wishes our family harm might know where our kids are at any given time. An educated parent is a prepared one. 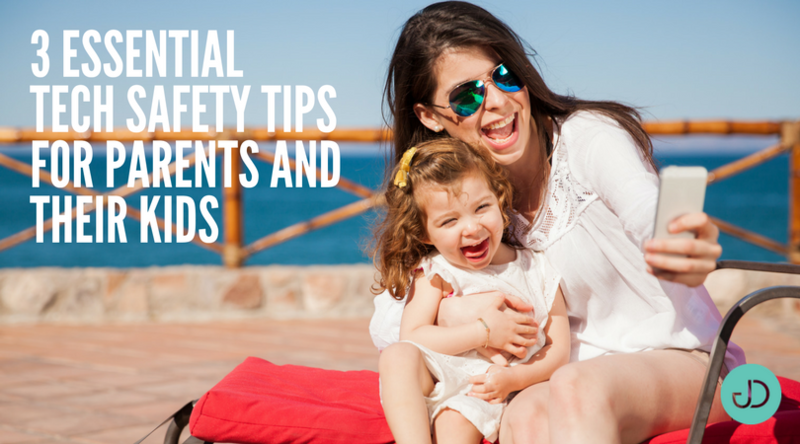 Talk to your children about information security and use these best practices to keep your family safe. A client recently promoted an agency employee to become his Executive Assistant (EA), to help him focus on his $1,000/hour activities. She had the aptitude but not the experience—so he asked me to coach her on how to support him better. 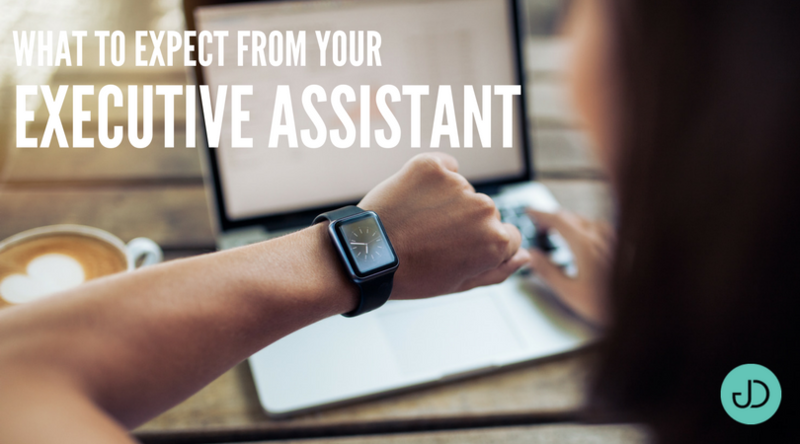 Most of my clients don’t have a full-time Executive Assistant with an EA title, but most have someone serving in that role on at least a part-time basis. Sometimes it’s a VA, sometimes it’s an Office Manager who also supports them, sometimes it’s an assistant split between them and another executive. Occasionally the EA has a Chief of Staff title. Ultimately, the key point is that an EA is dedicated—in part or 100%—to making your work easier as an agency owner. Some agency owners work with a career EA—someone who plans to work as an EA the rest of their career. More often, people are an assistant as a stepping stone to another role. Let’s look at what to expect… and what they should expect from you. They keep things private. They’re going to see you at your worst; they shouldn’t be broadcasting that. This also includes being intentionally vague—for instance, a random caller doesn’t need to know you’re on vacation in the Bahamas. They protect you from people who want to infringe on your time and energy. They also recognize when to modulate this—for instance, a salesperson should get pushback but they should probably allow your COO to interrupt. They get things right the first time. (And if they make a mistake, they let you know before you find it yourself.) But they also understand the level of fidelity you need—for instance, when you need a rough answer versus an exact answer. Your culture is unique to your agency, but they’ll ultimately reflect your brand—in how they answer the phone, how they schedule people, and how they say “no.” They need to be good communicators. They’ll look for ways to make your life easier—both strategic and tactical. This includes anticipating your needs and adjusting their behavior (within reason) to match how you operate. This also includes thinking about “continuous improvement”—how to make things better. Generally, they should adapt to follow your preferred processes. This may include a complicated list of “business rules” for how you schedule. It may also include a certain process for reminding you about something—including how they should escalate if you don’t take action. If they don’t understand, they’ll ask you to clarify. They’ll also ask for your input when they need it, and use past answers to become increasingly self-sufficient. 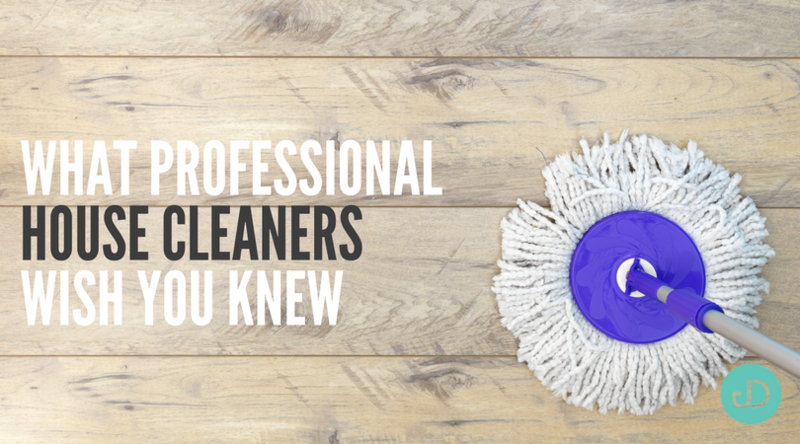 They recognize their job is to make your life easier. They’re not servants, but they are there to serve you. They make small and large decisions on your behalf, based on the swim lanes you and they define. Over time, they’ll be able to make many decisions without needing to consult you. For instance, as George Washington’s adjutant, Alexander Hamilton responded to correspondence on behalf of General Washington. This requires good judgement on their part, including applying your (the agency owner) values to the situation rather than their own. The ideal EA finds a balance between getting your input and doing things themselves. Over time, they should do more and more themselves (consulting you only as needed). Sometimes you ask them to do something that doesn’t make sense. They should feel comfortable [diplomatically] pushing-back to question your assumptions. They understand your business and your industry. Your EA eventually may know more about the agency industry than many of your employees. This expertise means they can make better decisions, and offer you better advice. They use technology to do their job better, and they’re looking for new ways to automate processes. Technology isn’t always the answer—but if it is, your EA will figure it out. They’re helpful but not afraid to say “no” to others if something isn’t a top priority for you. They may not love saying “no” but they know they need to put your needs before others’ needs. By definition, you and they are going to be in some tense situations. It’s a lot easier to get through those if you have a compatible sense of humor. This is a two-way relationship—if not a partnership. Here’s what you owe your Executive Assistant. Someone has committed their work life to making your life easier. I hope you recognize what a commitment that is. Business owners—agency owners especially—can be difficult people. Say thank you. And pay them well (above). In the corporate world, a strong relationship between an executive and his/her EA could last 20-30 years. Your EA probably knows you almost as well as your spouse. You should get their input as you’re making decisions. And listen—asking for input but always ignoring the input isn’t a good way to get continued input. Be clear about your expectations. This includes letting them know if a deadline is flexible or fixed, where to find a resource that (currently) only you know about, and (as I noted above under “Accuracy”) whether you need a rough or ballpark answer versus an exact answer. If you expect them to be available nights and weekends, you need to negotiate that up front. If you expect them to handle more than the occasional personal task, you need to negotiate that, too. Sometimes your EA is going to annoy or even anger clients or employees, typically because the client or employee was unreasonable. It’s your job to assess what happened, and lean toward backing-up your EA. As much as you’d like them to work 24/7, they need time away from you. And their vacation time away will help you appreciate how much you need their help. Do you have an EA, or someone who provides aspects of an EA? What’s it like? If you aren’t getting what you need, it’s up to you to speak up—they can’t read your mind. Want the benefits of having an EA but not ready for a full-time hire? Consider hiring a virtual assistant and structuring the VA role as an executive assistant. Want to be Happier? 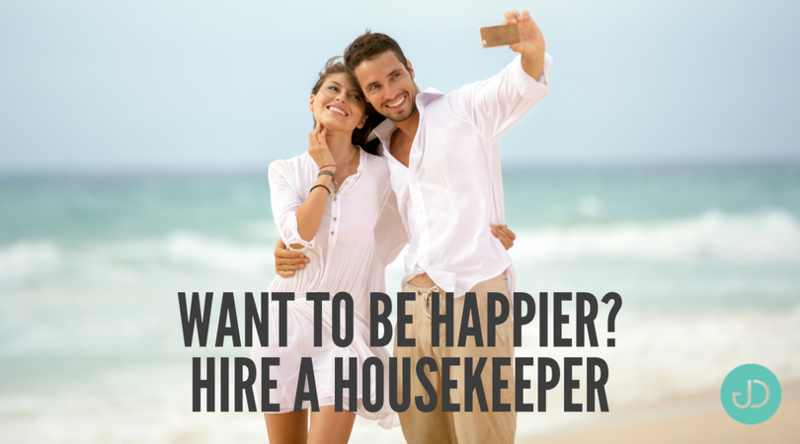 Hire a Housekeeper! A study by the University of British Columbia and Harvard Business School, published Monday in the journal Proceedings of the National Academy of Sciences, has found buying time makes people happier than buying material things. UBC psychology professor and study author Elizabeth Dunn said although the idea of being happier by having someone clean your home or do other unwanted chores seems obvious, the study found even small investments like shopping at a more expensive, but closer-to-home, grocery store makes a difference. Researchers surveyed 6,000 people in Canada, the U.S. and Europe found that those who doled out cash to save them time on things such as the meal delivery service seen in this 2014 file photo, were happier than those who don’t. Dunn said people reported buying a nice bottle of wine, clothes and board games. Researchers then surveyed the group to determine their level of happiness following the purchase of the item. On the second weekend, participants were tasked to use the money to save them time — such as taking a taxi instead of public transit, have someone mow their lawn, and in one case having a “neighbour boy” run errands. Dunn said they compared the group’s level of happiness following both instances of spending, and found people were much happier when they bought themselves more time. “It’s not what comes to mind to people as a way to increase their happiness and the rates at which people are engaging in this type of expenditure are surprisingly low,” Dunn said. Buying more time requires the means to do so, Dunn said. But a survey of 6,000 people in Canada, the U.S. and Europe showed those who have a bit of discretionary income would benefit from spending it on getting rid of the chores they dread. “People who don’t feel like they’re rolling in dough may feel like that’s a frivolous way to spend money, but what our research is showing is that even if you don’t have tonnes of money, using money to get rid of your disliked tasks may be a pretty smart decision,” she said. The reason behind people’s aversion to treating themselves to time savers is unclear. Dunn said her team’s best guess is that people feel guilty spending money on things they could do themselves. Dunn said her team intends to do a follow-up study to better understand why people don’t spend money to buy time, and see how age, gender, ethnicity or other characteristics play into the reasoning.